“Specialty drugs” – that’s what they’re called. Not the pills of old, these pharmaceuticals are often given intravenously or through injection. Often more biologic in their synthesis than chemical, they are expensive to produce and often target narrow disease processes, meaning the number of patients likely to benefit from them is much much smaller than, say, the market for blood pressure pills. Pretty amazing to look at a picture like this and find yourself asking: Why does Perjeta only cost $70,000 per year? 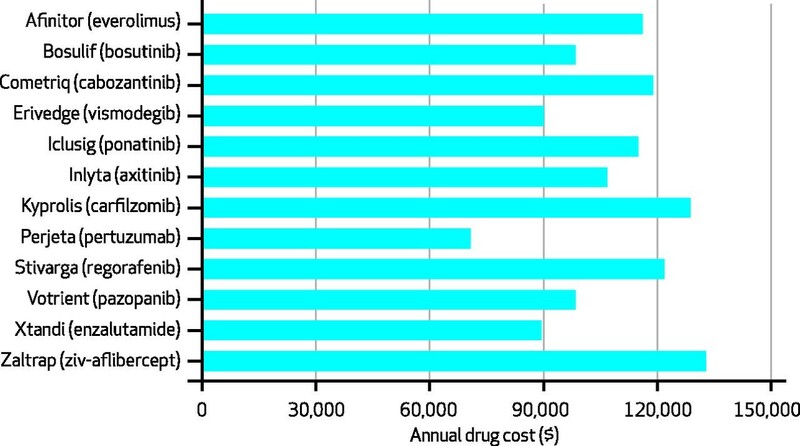 The post The Cost of New Cancer Drugs (In One Picture) appeared first on PeterUbel.com.